Wizkid and Tiwa Savage are serving bestie goals and one can easily tell the chemistry between them is undeniable,though there is no evidence to suggest they are dating. 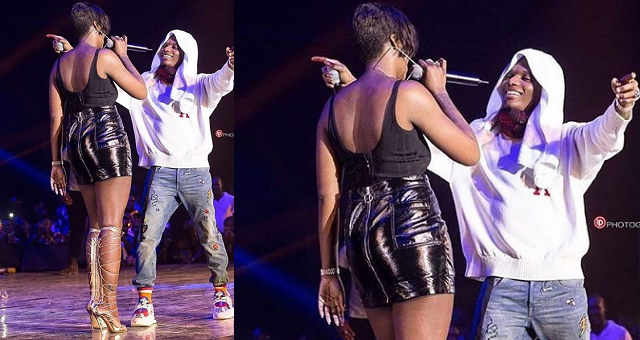 The international act, Wizkid, was on stage in Accra ,Ghana on Saturday and was all smiles and full of joy when the Nigerian superstar, Tiwa joined him on stage. Rumors have not stopped since the duo made a hit song ‘malo’, and both superstars have been seeing together at different events. They have neither denied nor confirmed their relationship leaving curious fans in the dark.